04/09/2019 I am very pleased with the service that Crystal Clean provided for us at a reasonable price. Making the appointment was easily and efficiently done. The service Tech. (Jeff) showed up on time, was very friendly and did a good job. Job well done, I will call them again. 11/16/2018 Nice job. Personable and professional cleaner. I'm very satisfied. 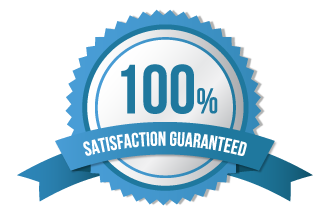 11/11/2018 Handled satisfactorily! Do not pot my name on-line. 10/09/2018 Amazing crew! Will definitely use again. Thank you. 09/13/2018 As usual - excellent job! 08/29/2018 Excellent! Jeff arrived exactly on time; worked diligently and service was exceptional! Also, very reasonably priced for all the hard work! 06/05/2018 My windows were meticulous. I was impressed with the detail applied. 05/23/2018 Our carpets were sooo dirty. Dogs and lots of people in our house over the years. Carpets looked and smelled fantastic. Definitely will use again! 04/29/2018 Great service! Quick, easy and professional! Crystal Clean Five Star Professional Window & Carpet Cleaning has been family owned and operated out of Arvada, CO, since 2004 and has twenty years of experience in the professional cleaning industry.